We design and use hydrogen-bond directed self-assembled structures for bio-medical and materials science applications. Recent work has uncovered unexpected non-statistical effects in model systems. 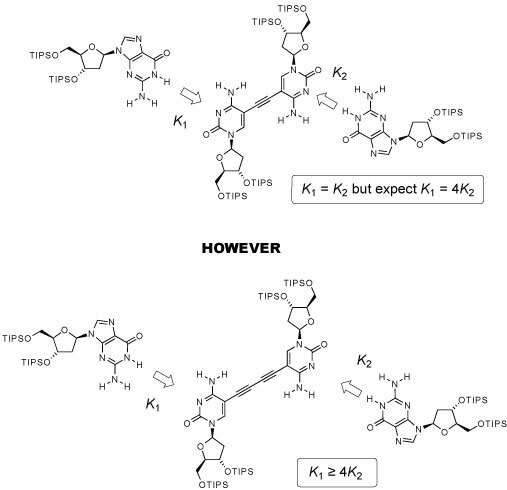 Apparent non-statistical binding in a ditopic receptor for guanosine: A Likhitsup, R J Deeth, S Otto, A Marsh* Org. Biomol. Chem. 2009, DOI: 10.1039/B812969j.